The official poster for The Hive Gallery’s July 3rd show, which will include a selection of Cody’s paintings, has been posted. There is a massive amount of activity planned for the show including live painting, tarot reading, a variety of musical performances and more. 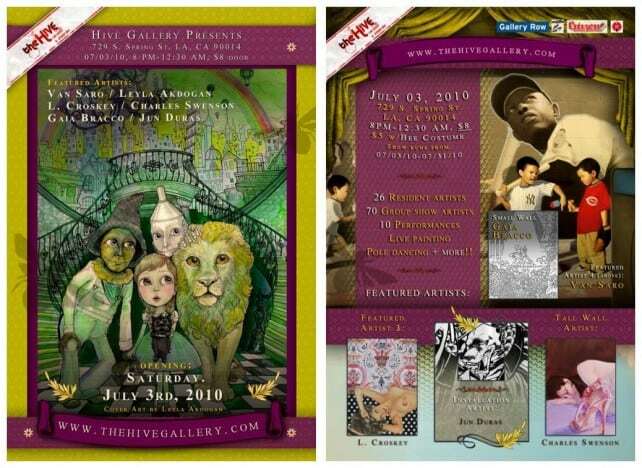 Cody’s name can be found on the Hive Gallery website by clicking on the show entitled “The Hive Gallery and Performances Present:” and scrolling down to “2010 Group Show Artists” beneath the second of two promotional images. The exhibit runs from July 3rd to July 31st, 2010 in Los Angeles, California.